Last night I noticed that Google took the liberty of installing a Google Update Daemon on my computer. I did a quick check of my Applications folder but noticed that there were no Google applications even running on my computer. The only google related software installed is excellent 3rd party Reader Notifier to keep in sync with the Google RSS Reader. In case you haven’t seen Terminator II recently, this part might bring back some memories. 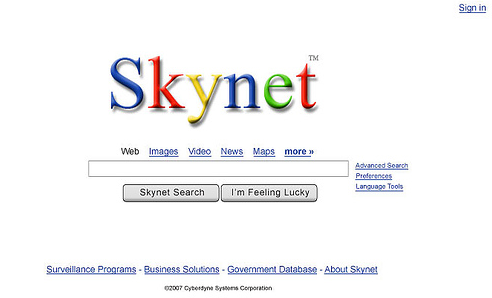 By the time Skynet became self-aware it had spread into millions of computer servers across the planet. Ordinary computers in office buildings, dorm rooms; everywhere. It was software; in cyberspace. There was no system core; it could not be shutdown. The attack began at 6:18 PM, just as he said it would. Judgment Day, the day the human race was almost destroyed by the weapons they’d built to protect themselves. I should have realized it was never our destiny to stop Judgment Day, it was merely to survive it, together. The Terminator knew; he tried to tell us, but I didn’t want to hear it. 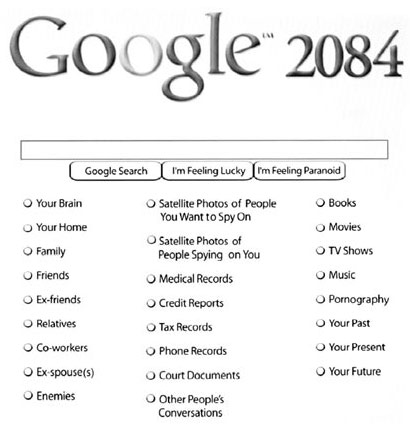 Maybe the future has been written. I don’t know; all I know is what the Terminator taught me; never stop fighting. And I never will. The battle has just begun. What’s up, its nice post regarding media print, we all know media is a enormous source of data.